since i last posted. sorry about that, but i was missing in action for awhile. on may 28 , I went to the hospital for a total knee replacement on my left knee and i have been recuperating from that. I'm home now but its still a long haul. still alot of pain, but its different pain now , surgery pain its different from arthritis pain, but its still pain. I haven't been able to concentrate on my knitting at all!! 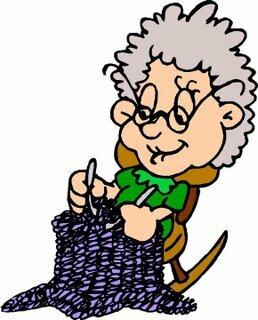 Wishing you a speedy recovery - you need to get back to your knitting soon! I will be having surgery February 21st sounds like a repair meniscus plus some grinding and bone and cartilage grafting. If you recall I had a meniscus tear removed a year ago and spent 7 months on crutches some before and some after surgery. There is some osteoarthritus present. What do you think repair or replace? My dr is saying repair but he does not kno my case as we moved.